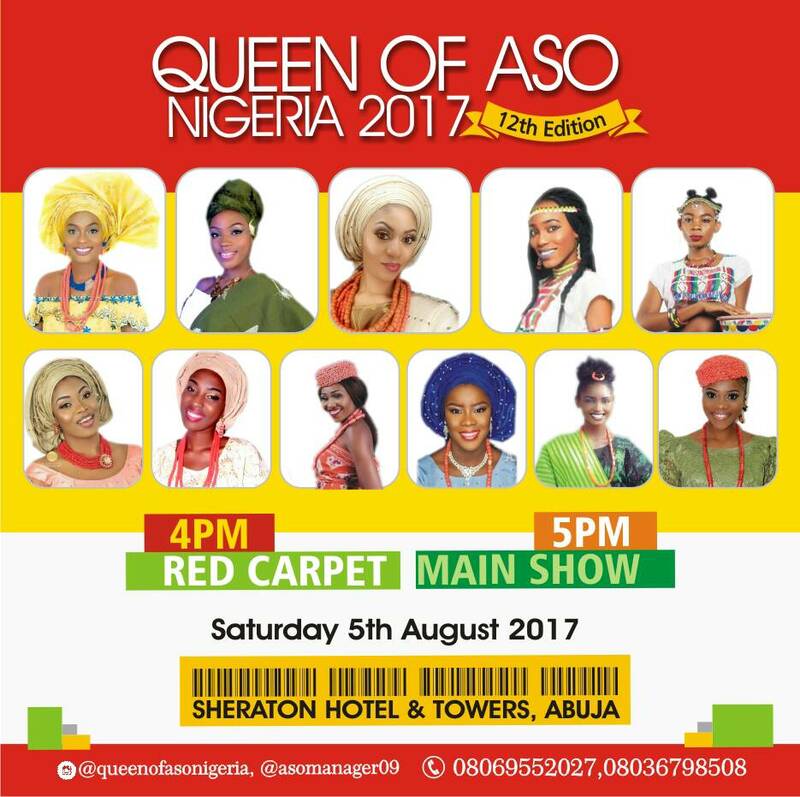 Trending pageant of the year:Queen of Aso Nigeria 2017 Holds it’s Finale on Saturday 5th August in Abuja. 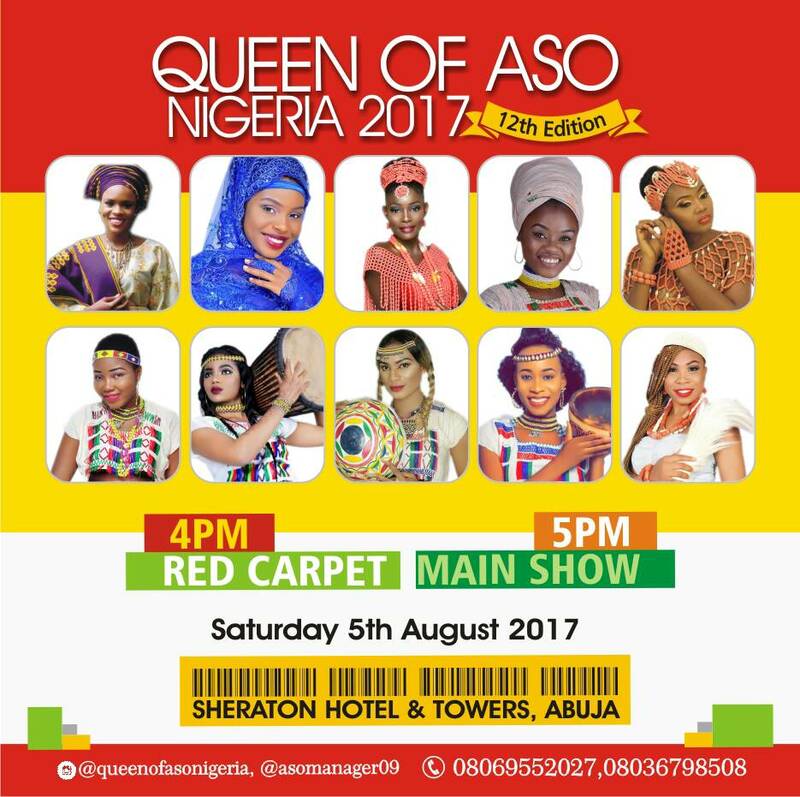 The 12th Edition of Queen of Aso Nigeria 2017 will hold on Saturday 5th August 2017 at the Ladi Kwali Conference Center,Sheraton Hotel and Towers Abuja by 5pm,Mother of the Day will be the Wife of the President -Her Excellency Hajia Ashia Buhari along with other prominent Citizens. 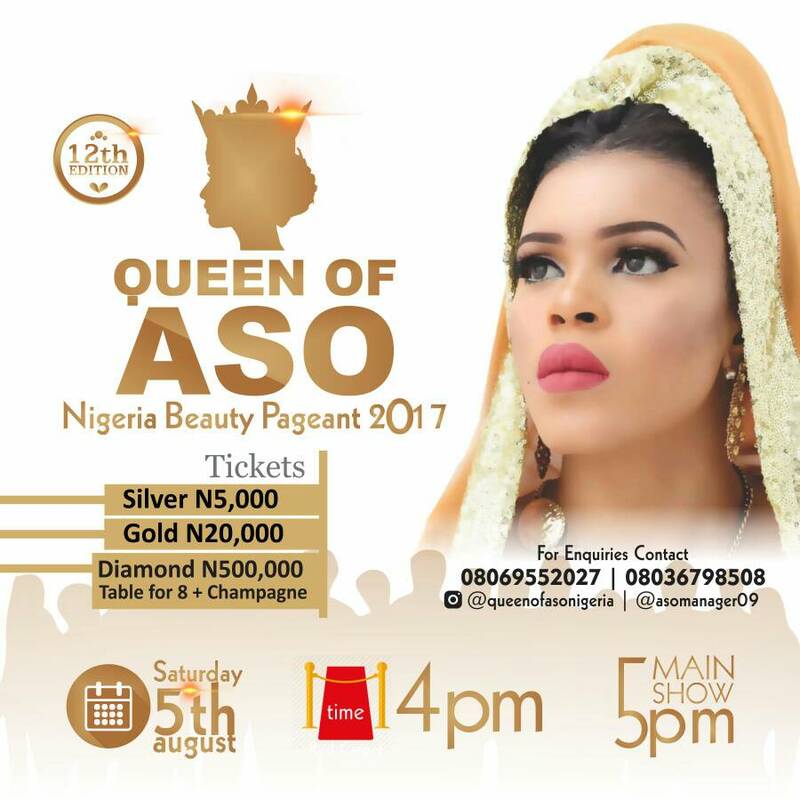 The prestigious Queen of Aso Nigeria beauty pageant is all about humanity and helping the less privileged in the society. The queens have in the past distinguished themselves through various pet projects over the years to help ordinary Nigerians on the street. Have you read it? : Queen Neema Godwin Stuns in New Bathroom Shoots! 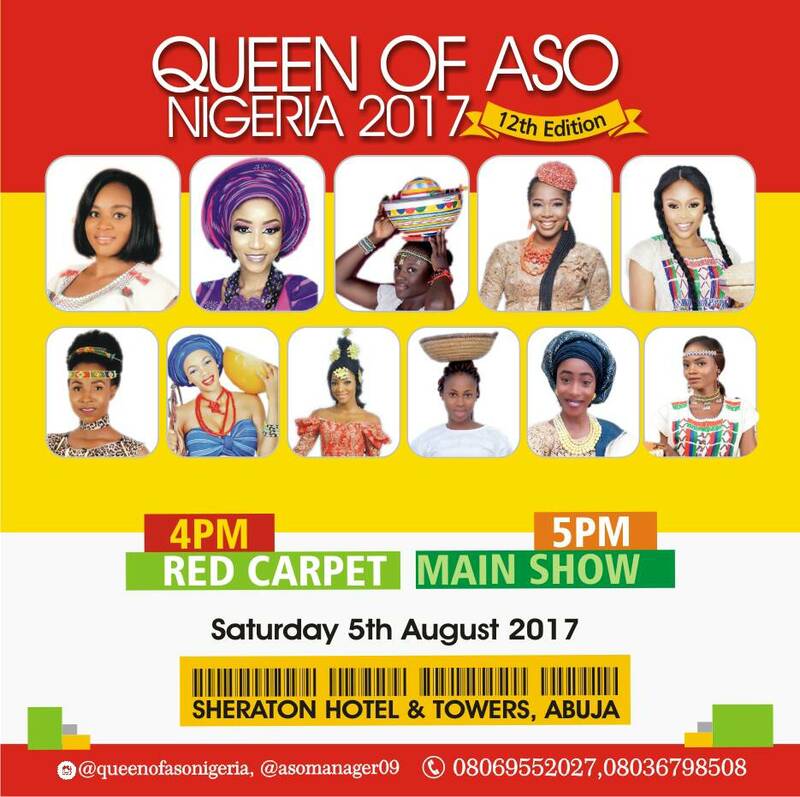 2017 Edition will feature captain of industries, politicians, top media executive, tourists and 15 outstanding Nigerians will receive Aso Outstanding Award 2017. The event is Proudly supported by Kaysa Global Ltd, Belema oil and Gas, Studio 24,Drumstix,Vugo,Grand Cubana Hotel, Devy Apartment, Kapino suites, Oodua online News, Cool 96.9 FM, Hot 98.3 FM, AIT, Alibi TV, Lamode Magazine, Liquor Empire, Alex Report, Barcity Media, Absolute Hearts, Gafiligadoki Tv,Mayfair saloon, Aso label Shoe,Modelssphere. Actress Yvonne Jegede Stuns In New Year Photo Shoots,looking so natural. Queen Nwosu Chidimma Launches her Educational Project. Queen Miebaka Wokoma marks Birthday with Raunchy Shoots.